~4-5 month supply. 1 oz. THE MOST CORRECTIVE ACTION OVER NIGHT. A must for age 35 and beyond to reverse accumulated damage from sun and stress. Pharmaceutical-grade natural Glycolic Acid, Vitamin A and alpha and beta fruit acids dissolve dead skin cells, blemishes, scars, discolorations and sun and age spots to uncover the healthy skin beneath. Vitamin E and Jojoba Oil accelerate skin renewal on the deepest level and provide vital hydration to newly formed cells improving skin's luminosity. Milk Thistle, Green Tea and Echinacea provide maximum levels of anti-aging and immune protection. Deep-penetrating nutrition and hydration for new cells during night time restoration period. FOR NORMAL AND DRY SKIN: Apply every night after VITAPURE Serum in place of your L’ATHENE Moisturizer. 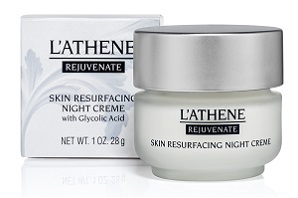 FOR COMBINATION AND ROSACEA-LIKE SKIN: Apply every other night in place of your L’ATHENE Moisturizer. Avoid oily areas and any reddened areas. Aging skin needs to be exfoliated. Age 20's, skin cell turnover is at its best. By the 30’s, decreasing cell turnover and sebum production occurs; lines and wrinkles are more visible. Age 40's & 50's, cell turnover dramatically decreases by almost 50%; sebum production slows down; and skin's outer layer becomes less resilient. Dead or dying skin cells build up on your face. Outer skin thickening and dehydration; impaired oxidation; blemishes and poor texture. Skin's ability to regenerate new cells is deterred. 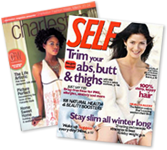 Clogged pores build up and skin looks dull and lifeless. Petroleum-based standard chemical skincare further causes problems by blocking skin respiration to suffocate skin. What are Glycolic Acids and how do they work? They are natural compound derived from sugar cane and fruit, and are alpha-hydroxy acids (AHA). They work by gently breaking down glue-like bonds that hold dead cells to skin's surface, to reveal the healthy new skin beneath. Research has shown that repeated applications of glycolic acid helps to prevent the "re-thickening" and maintain a smoother younger-looking appearance. How do Glycolics help with sun damage? Studies have shown that glycolic acid can cause remarkable improvement in appearance of fine lines and wrinkles. Used over time, it is one of the most effective ingredients for decreasing photo-aging effects—commonly known as hyper-pigmentation, sun and age spots. Why do Glycolics work so well as a night-time treatment? During the night, our body's functions slow down to repair our bodies and tissues. A night-time exfoliant allows for gentle exfoliation, while providing deep-penetrating nutrition and hydration for new cells. Are Glycolics safe to use at home? Yes. In proper concentrations, they are very safe and effective.